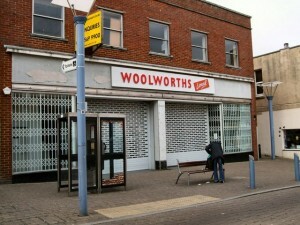 The BT Phone Book is now listing an Alworths store at 14 High Street in Newhaven, East Sussex – the town’s former Woolworths unit. There is no further confirmation as yet, but the store looks set to be the retailer’s 14th, following the upcoming openings of new shops in Llandudno (13 August), Tiverton (27 August) and Hertford (date TBC). Meanwhile, Alworths’ original store – opened less than a year ago in Didcot – is set to downsize from its current site in the town’s Orchard Centre to a smaller shop nearby, understood to be the former Bathstore unit. Currys will take over the existing Alworths site. At about 10,000 sq ft, Didcot has always been Alworths’ largest store, and the move will bring it more into line with the smaller, 5,000 sq ft units that the retailer has been acquiring of late – and continues to seek. Thank you to Paul Gillett for the shot of Woolworths in Newhaven, which is © Copyright Paul Gillett, and licensed for re-use under the Creative Commons Licence. 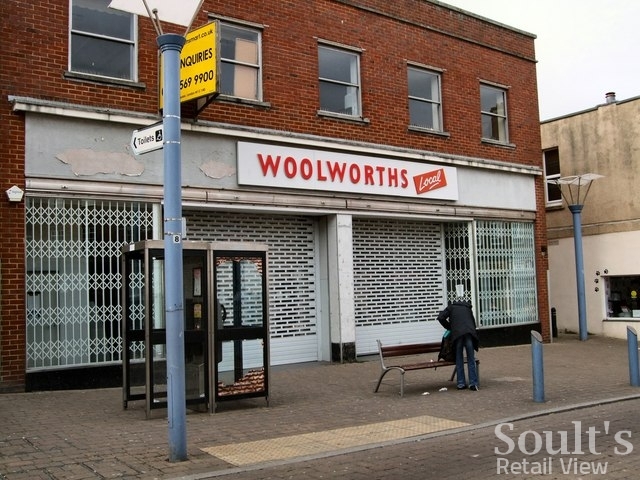 BT seem to have repaired their site and the address for alworths, Swadlincote, is, indeed, that of the former Woolworths. I don’t think you have covered this, but something else I spotted, as regards Woolworths, is the “Liverpool One” shopping centre, which incorporates the frontage of the branch which was “1 Liverpool” and which opened in 1923 to replace the very first UK branch which was on the other side of the road. Presumably, the name “Liverpool One” is derived from the Woolworths branch name. Someone needs to write some software that queries the BT phonebook for “alworths” automatically every few seconds, compares the latest results with the previous results, and sends an alert if a new branch has appeared. If the branch numbers carry on increasing at this pace, then the thought arises whether we will see alworths embark on Woolworths type Christmas advertising. Anyone born after about 1970 will probably be too young to remember, but towards the end of the 1970s, Woolworths embarked on a remarkable advertising strategy. At a time when typical television commercials were 10 or 20 seconds long, they were persuaded by the advertising agency Allen Brady and Marsh (ABM) to make extravagent, all singing and dancing adverts, that ran for two minutes and were stuffed with celebrities. They must have cost a fortune. If you search for others, you need to query for Woolworth and for Woolworths separately, as some results are only returned by one of those query terms. I like the address being listed as “46 Null High St, Null” – some might say there are quite a lot of towns where that would be an accurate description. The postcode is that of the old Woolworths though – it was at 46 High Street, so if you delete the nulls the address looks right! Who would have thought that the BT book could be so useful! The latest there appears to have had Swadlincote added, although, when I looked, something was wrong with the address. Having said that, they do seem to have been having technical difficulties with the phonebook in the past day.